Sara Jane Olson could be released from prison sooner than California corrections officials would like. The St. Paul woman was convicted in 2001 of crimes she committed in the 1970s as a member of the Symbionese Liberation Army. A judge has thrown out Olson's 14-year prison sentence. If the judge's order stands, Olson could be free in as soon as two years. Sacramento, Calif. — When Sara Jane Olson was sentenced in 2002 she faced a prison term of five years and four months. She had pleaded guilty to two counts of planting pipebombs under Los Angeles police cars. She was later convicted of taking part in a bank robbery in Sacramento that led to the death of a California woman. 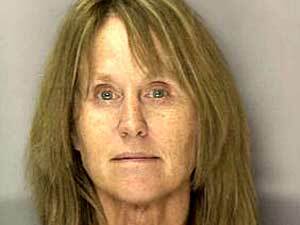 Olson is serving a separate six-year term for her involvement in that case. Soon after Olson arrived in her cell, California's Board of Prison Terms recalculated her bombing sentence, extending it to 14 years. But a Superior Court judge now says the Board of Prison Terms did not adequately justify its decision to increase Olson's sentence, and has thrown out the 14-year term. Most people felt that the extension by the board was unwarranted. What happened, happened a very long time ago, in a different era. Olson's attorney Shawn Chapman Holley is pleased with the judge's decision. "Most people felt that the extension by the board was unwarranted," Chapman Holley says. "What happened, happened a very long time ago, in a different era. The fact that it was a different time certainly doesn't justify the actions. But, thankfully nobody was hurt, and she herself didn't do it." Chapman Holley says Olson's sentencing was complicated by changes to California law made in 1979. She says those changes meant Olson's crimes were automatically subject to the state's "serious offender" laws. "The serious offender mechanism was for those people who shouldn't get out who were going to get out, because the law changed to their benefit," says Chapman Holley. "We were concerned it should never even apply to Sara Jane Olson, who is being sentenced 27 years later, whose sentence is going to be converted to five years, four months, who's not a danger to society. This section of the penal code, as far as we were concerned, did not even apply to her." California prison officials' arguments in favor of extending Olson's sentence revolved around the pipe bomb case. They spoke of the "seriousness" of the offense, and the "multiple intended victims, including police officers and innocent bystanders." But California Superior Court Judge Thomas Cecil wrote in his order that the Board of Prison Terms provided "no analysis of how they came to the conclusion that 14 years was appropriate." Cecil concluded that the Board of Prison Terms "abused its discretion by adopting the district attorney's recommendation without independent evaluation." The judge has ordered a new "serious offender" hearing within 60 days. The state has the option of restating its argument in a new hearing. It could also decide to comply with the order, thereby reducing Olson's sentence to the original term of five years, four months. The ruling was the latest chapter in the 30-year saga of the SLA, a radical splinter group which became famous when it kidnapped heiress Patty Hearst in 1974. Cecil sentenced Olson and three other SLA survivors in the bank robbery murder case last year, but his order released Monday does not affect that case. When he sentenced Olson, Emily Montague, William Harris and Michael Bortin in the bank case, Cecil urged the Board of Prison Terms not to extend their sentences because of the exemplary lives they have led. "We recognize the seriousness of the crimes that occurred in 1975," the judge said then. "We need not guess whether these defendants will function in society. We have seen it." "None of these defendants poses a danger to society," he said. In the Los Angeles case, prosecutors Michael Latin and Eleanor Hunter pressed the board to increase Olson's sentence from five and a half years to 14 years, a recommendation the board accepted in October 2002, saying Olson's 1975 crimes had the potential for great violence and targeted multiple victims. The three-member board also cited Olson's later flight and 25 years as a fugitive. The bombs were planted under two police cars in 1975, but failed to explode. Los Angeles prosecutors said Olson was attempting to retaliate for the deaths of six members of the radical SLA who were killed in a shootout with police the previous year. Nathan Barankin of the California Attorney General's office won't say whether or not the state will appeal. But, he says painful memories still surround the crimes of the Symbionese Liberation Army. "It is something that most Californians have either direct memory of, or family members who can remember, the tumult that was the 1970s involving the SLA," says Barankin. "Obviously, it's a little bit different than what you all might be experiencing there in Minnesota, where you have had a person who you thought was a law-abiding citizen with no criminal history, living among you." Few, if anyone, knew of Olson's past as a radical when she was arrested in St. Paul in 1999. At the time, she had been living in Minnesota, married to a physician with three daughters. Olson still has a good number of supporters in the Twin Cities. Mary Ellen Kaluza says she's been friends with Olson for 20 years. Kaluza and others have consistently supported Olson and have helped to raise money for Olson's defense fund. Kaluza says she's pleased with the judge's ruling and hopes the court order remains so that Olson can return home soon. "I'm very happy, I'm thrilled. The appeal process has been going on for a long time. It's easy to get discouraged, but I am so happy that the judge had the courage to rule against the Department of Corrections," Kaluza says. Olson has been incarcerated at a women's prison in Chowchilla since October 2002.